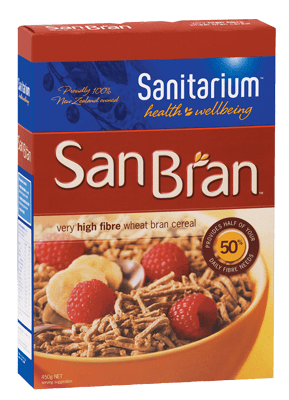 If you want to boost the amount of fibre in your diet, try San Bran from Sanitarium New Zealand. 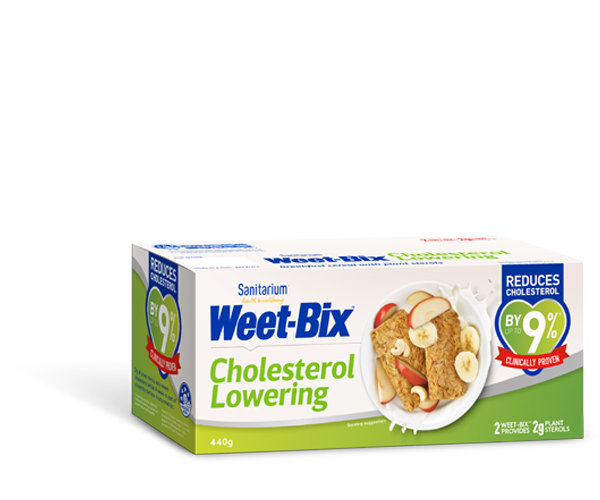 San Bran is a wheat bran cereal that provides half your daily fibre requirements in just one serve. Because of its high fibre content it aids in intestinal function, thereby promoting regularity as part of a balanced diet. Wheat bran (75%), barley malt extract, sugar, salt, dextrose. Contains cereals containing gluten. May contain milk, soy, sesame, sulphites and treenuts.